Imagine a room of over seventy children ages five through 12, along with about twenty-five adults, all loudly singing praise songs. 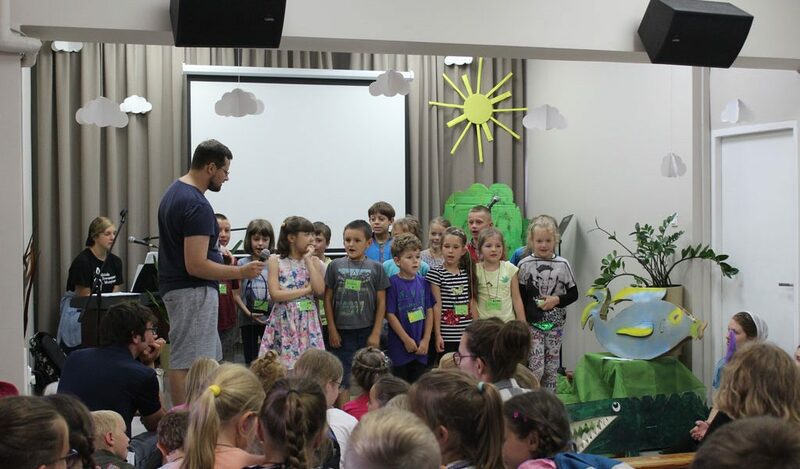 A major event of the summer was working together with the Baptist church in Minsk to organize what we call day camp, essentially vacation Bible school, for area children. The American team and youth from Agape taught English, organized games, and led groups of children, while the Baptist church had craft and the Bible lesson. Working together with the Baptists. They have a vision for evangelism and outreach for our town, so it is encouraging to work with them in ministry. When we work together, our resources and energy go further! The picnic on Thursday afternoon, when parents and grandparents attended with their children. 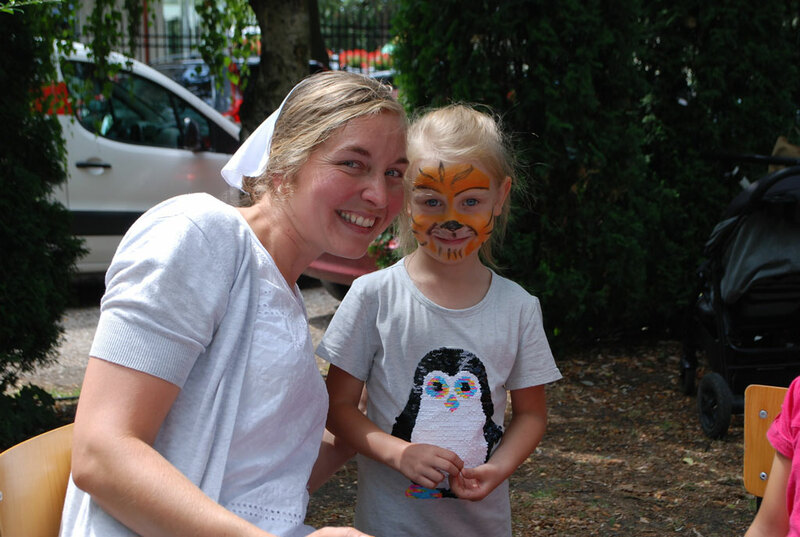 The children enjoyed the games, face painting, and donkey rides (pictured), while adults enjoyed talking together. The joy and love the camp leaders showed the children who attended. The spirit in which we relate to the children is as important as what they are taught. Over forty people traveled from the US, Australia, and Canada to form The Hope Singers 2018 choir. AIM has been organizing this choir every two years since 2004. After spending three days rehearsing, the choir left on a five-day tour to Southern Poland. The choir will also spend five days touring Northern Poland, as well as recording a CD. The choir will give around half of their concerts in evangelical churches, several in cultural centers, and one in a Catholic church. You can follow the choir on Facebook and read their daily updates. Please join us in prayer that we would be able to bless and encourage those we meet on tour. Summer is also a time of staff transition. 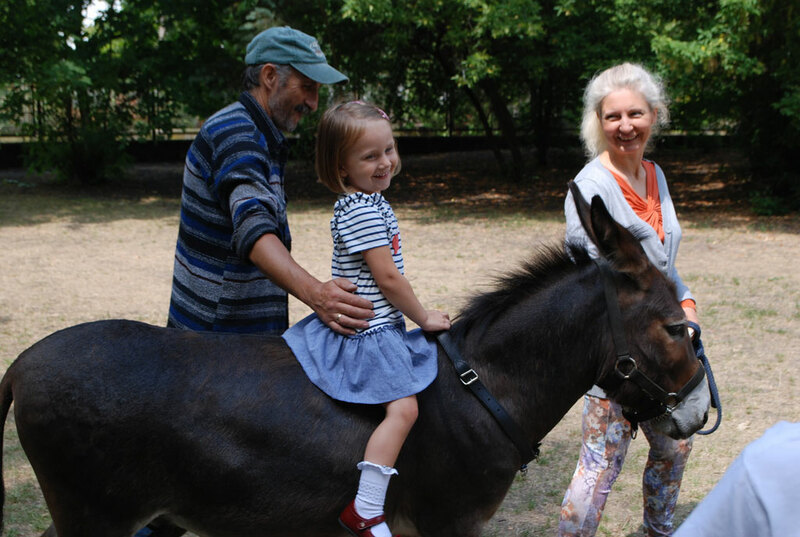 Kristin Herrin arrived in Poland on July 20 to begin her two-year term of service with AIM. Alex Yoder and Alyssa Zimmerman are arriving on August 4. We are grateful for their willingness to serve in Poland. Please keep them in prayer as they adjust to Polish culture, including attending a three-week intensive Polish language course. In August, we will need $9,750 in general donations to support the team and the ongoing activities in Poland. In June, we received $5,025 in general donations. We have some reserve for August, but we anticipate a shortfall of several thousand dollars by the end of the month.